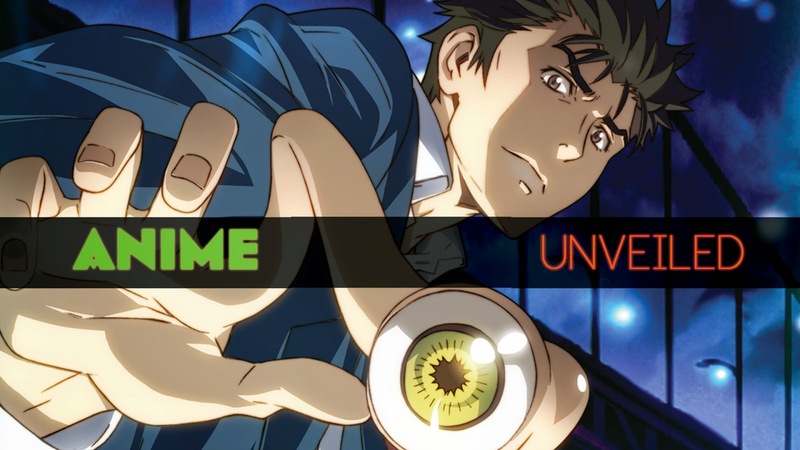 In this premier episode of Anime Unveiled I decided to do a series review on some of the shows that I have been watching lately. First up, Parasyte the Maxim. One night, worm-like creatures called Parasites appear on Earth, taking over the brains of human hosts by entering through their ears or noses. One Parasite attempts to crawl into Shinichi's ear while he sleeps, but fails as Shinichi is wearing headphones, and enters his body by burrowing into his arm instead, thus taking over his right arm. I’m not going to go into too much of the plot because I don’t want to spoil anything for anybody. Honestly Parasyte is certainly one of the best anime series made, the film is sucha rich blend of drama, horror, romance, thriller, action with a touch of comedy (in the beginning atleast). Parasyte is a show with many twist and turns always keeping you on edge and for the most part you can’t figure out what’s going to happen next. The story flows so well and each episode always ends with a cliff-hanger always leaving wanting more. 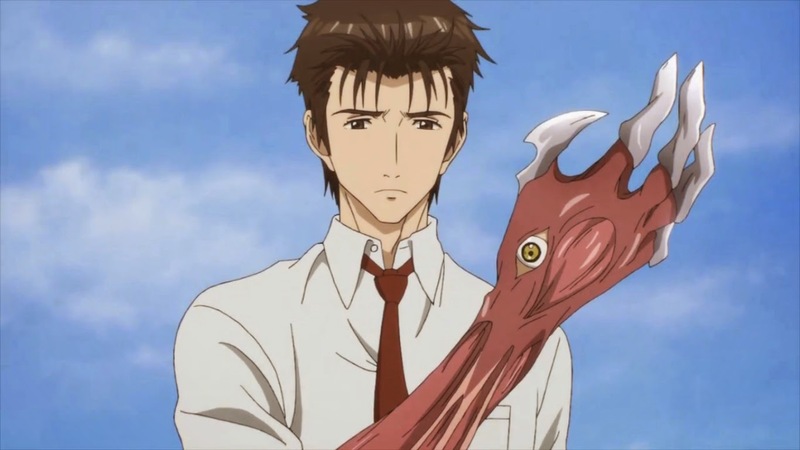 The relationship between Migi (the parasite) and Shinichi is the strongest element of the story. Both characters throughout go through enormous change and what started out as only a relationship built on need for survival turns into a deeper bond of trust and friendship. 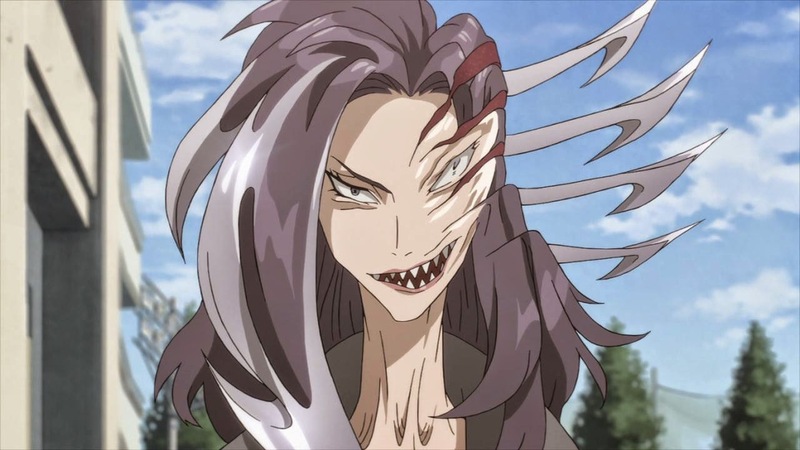 The universe of Parasyte the Maxim could have been a whole lot bigger than what it was in the show as a lot of questions go unanswered and opportunities for a big epic war between the humans and parasytes are missed. For some fans these missed opportunities diminished their enjoyment of the show. But personally, I loved it. The thing about this show is that it’s about Shinichi and Migi and there growing relationship, really a metaphor for humans’ relationship with all other living organisms. As such its not a show about a boy saving the world or Shinchi and Migi being an extra special anomaly that will change the entire dynamic between Parasytes and Humans. It’s really a story about one person’s survival in the world of chaos he suddenly found himself in and how he deals with it and those around him. In essence Parasyte really is just a show about how we as people are connected to each other, through love, hate, death (murder), life (birth) and other creatures. Its not a entirely perfect show, some of the female characters could have been developed a better, but it’s definitely one series you won’t be forgetting.